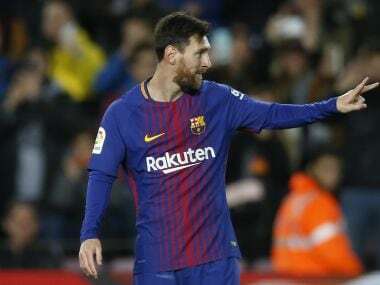 Madrid: Lionel Messi put on a masterclass in front of new recruit Philippe Coutinho as Barcelona trounced Celta Vigo 5-0 Thursday to ease into the Copa del Rey quarter-finals 6-1 on aggregate. Coutinho, dressed in a black shirt dotted with white stars, was in the stands at the Camp Nou for the first time since his 160 million-euro ($192 million) move from Liverpool. It didn't take long for the Brazilian star to appreciate the playing riches on show on the pitch. 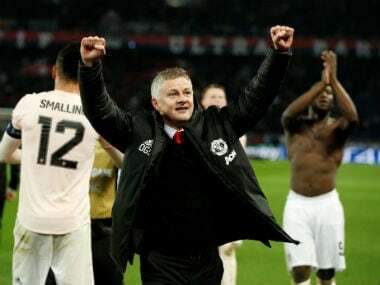 "The first half was extraordinary," said Barca coach Ernesto Valverde. Level at 1-1 after the first leg, the three-time defending champions were 4-0 up by half-time. 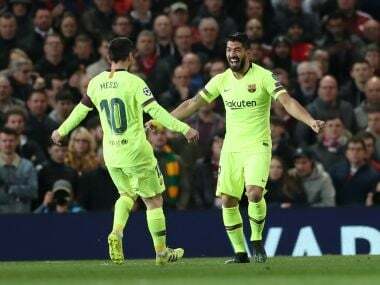 Messi then returned the favour by setting up Alba to score past the hapless Sergio Alvarez in the Celta goal before Luis Suarez made it 4-0 on the night after 30 minutes when the Uruguayan burst through the defence. 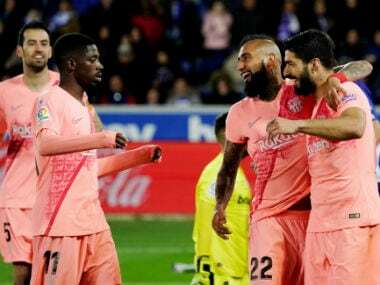 The tie petered out in the second half but French international Ousmane Dembele showed why Barcelona paid €105 million for him last year when he dribbled past three defenders from the halfway line before being denied by a desperate tackle. 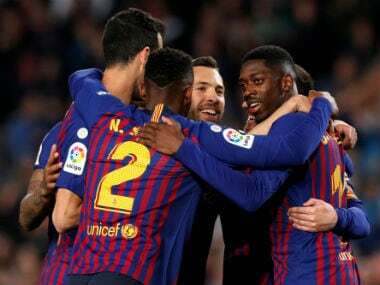 Dembele did have time to set up the fifth goal of the night three minutes from the end when his corner was headed home from close range by an unmarked Ivan Rakitic. "It's luxury to have Leo in the side, he's the best in history. We always look for each other to score goals and today we have done it twice," said Alba. Earlier on Thursday, Espanyol overturned a 2-1 loss in the first leg to defeat Levante 2-0 with Leo Baptistao and Gerard Moreno on target either side of half-time. Sevilla also progressed with a 2-1 win at home to second-tier Cadiz for a 4-1 aggregate. Wissam Ben Yedder, after 31 minutes, and Joaquin Correa in the 54th minute, were on target for Vincenzo Montella's team. On Wednesday, Real Madrid laboured to a 2-2 draw with Numancia to progress to the quarter-finals 5-2 on aggregate. In a much-changed side, Lucas Vazquez scored both of Real's goals after the 11th and 59th minutes. Leganes, a modest club from the Madrid suburbs, reached the quarter-finals for the first time in their 89-year existence.